Abraham Lincoln said writing is the art of communicating thoughts to the mind, through the eye. The assertion that writing is an art is certainly evident in Lincoln’s most famous pens. Read the Gettysburg Address. But a second, underlying, proposition in Lincoln's observation is perhaps more relevant to understanding the man himself. Writing informs thinking. Lincoln’s private secretary, John G. Nicolay, referred to Lincoln’s pre-writing habits, jotting notes and recording fragments, as his “process of cumulative thought.” Lincoln used writing to understand the world around him. Indeed, Lincoln called writing the greatest invention of the world and the key to human progress. In The Fiery Trial: Abraham Lincoln and American Slavery, historian Eric Foner tracks Lincoln’s personal and professional transformation, producing a sharply focused historiography of Lincoln’s evolving disposition toward the institution of slavery. 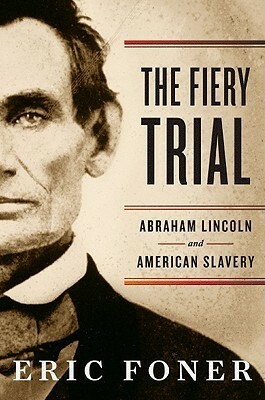 Foner relies on Lincoln’s writing, his command of language, unique among presidents, along with his own deep understanding of 19th century American politics, to reveal Lincoln’s social, political, and moral maturation on the issue of slavery. Foner notes that it is the precision of Lincoln’s writing, along with his principled consistency, that makes Lincoln’s record especially credible. For readers who only know the transcendent emancipator, Foner re-humanizes Lincoln. He synthesizes a process, discernible in the arc of Lincoln’s writing, that Lincoln pursued to grow unto himself and for the country. If history is the art of making an argument about the past by telling a story accountable to evidence, The Fiery Trial is artistic inquiry. Foner questions, considers, infers but always returns to Lincoln’s own words, the evidence, to tell the story of a protagonist, conflicted, ambitious, yet sincere, who prevailed. The story is, in the mind’s eye, both tragic and triumphant. And well worth the time. 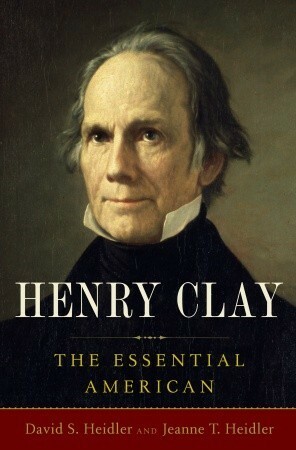 Henry Clay: The Essential American by David and Jeanne Heidler is an essential tome for readers of American history. Congressman. Senator. Secretary of State. Strategist. Negotiator. Presidential Candidate. The Great Compromiser, Henry Clay occupies a place in antebellum statesmanship that few others can claim. And he clashed with most who tried. The Heidlers' research is impeccable, supporting great storytelling and providing context for the study of a life few surpass in influencing, sometimes for better and sometimes not, the turbulent youth of America's republic. There There: A Novel by Tommy Orange is a mournful, haunting call about being homeless at home. It’s about race and place, past and present. A précis of Native American experience in the prologue foreshadows a discomfiting read. And the stories of a dozen characters moving toward a single, fateful day delivers on that promise. The story is heavy but makes evident, through provocative, elegant language, what is not but should be in plain sight. 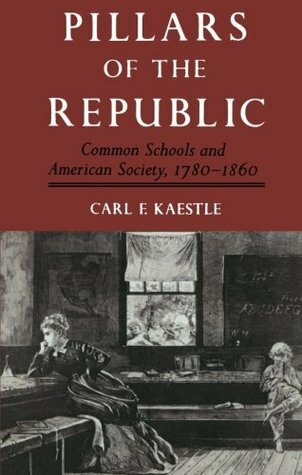 Pillars of the Republic: Common Schools and American Society, 1780-1860 by Carl E. Kaestle is less a chronology of public-school history than a study of the social context in which public school systems emerged in the early years of the republic. It is relevant for those interested in the debates about public schools today, not so much form or function but purpose, especially the common school focus to develop citizens that could maintain government of the people, by the people, for the people, something that has been lost in today’s standardization movement in which schools are asked to do everything but develop citizens for democracy. Visceral. Emotional. Tragic. Hopeful. Real. Raw. Powerful. 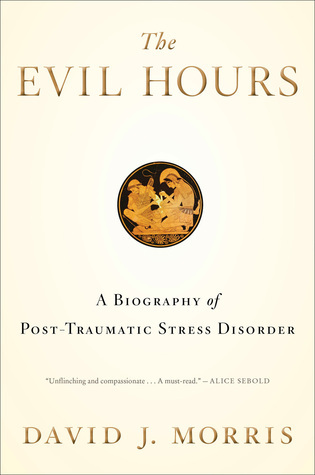 The Evil Hours: A Biography of Post-Traumatic Stress Disorder is a must-read for anyone interested in learning about the mental and emotional strain occurring as a result of injury or severe psychological shock; what is known, what is not known, and what might be on the horizon. David J. Morris writes with energy, urgency, and a personal authority that pulls the reader into the pages, into the stories, and as close to the minds of those suffering from PTSD as may be possible in literary prose. Most people have a healthy fear of snakes. I don’t. I have an incredibly unhealthy fear of snakes. I see them where they are. I see them where they aren’t. I’ve been known to toss a bowl of popcorn into the air when they suddenly appear on the television screen. So, when I learned about the Cobra Effect, the circumstance in which a plan to reduce the venomous snake’s threat to humans actually increased the threat, I was horrified. 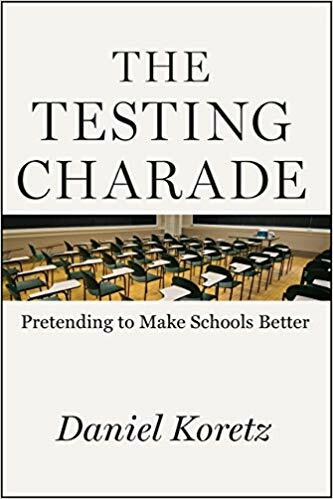 But that’s nothing compared to the alarm I felt in reading The Testing Charade: Pretending to Make Schools Better in which Daniel Koretz uses the Cobra Effect as a mechanism to organize the junk drawer of problems with standardized testing in public education. Specifically, Koretz outlines an example of the Cobra Effect known as Campbell’s Law in which social scientist Donald T. Campbell asserts “the more any quantitative social indicator is used for social decision-making, the more subject it will be to corruption pressures and the more apt it will be to distort and corrupt the social processes it is intended to monitor." Insufficient measures generate distortions, and Koretz argues that in education, standardized testing is the insufficient measure. There are too many for a short review but Koretz does a good job organizing the basic misunderstandings, unintended consequences, and defeat devices associated with standardized testing. From the widening gaps among the intended, taught, and learned curricula… to the people-sorting nature of standardized tests… to the incentivizing of instructional behaviors that run counter to how people learn, Koretz reviews the specifics of how standardize testing is an incomplete instrument for evaluating teaching and learning. More importantly, in using Campbell’s Law, Koretz includes education in a broader discussion about social change processes, cleverly applying in his thesis what he recommends for education evaluation; broaden the discussion, increase balance in the evaluation process, recognize that there are tradeoffs in managing complex systems, and stop trying to quantify everything. As much as I would like to make the comparison, standardized tests are not the Cobras of this story. 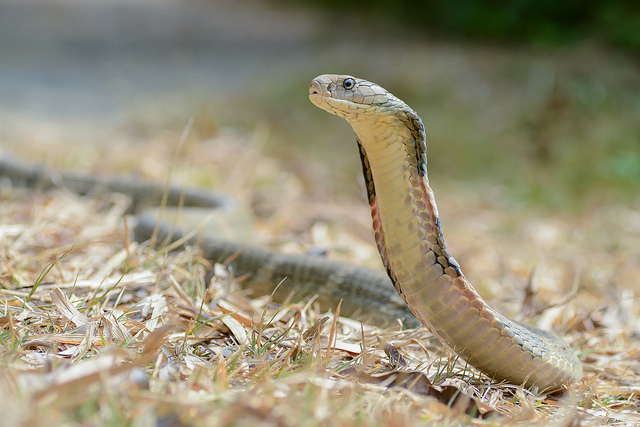 Unfortunately, the Cobras are the distortions and unintended consequences of their misuse; score inflation, test prep, the needlessly diminishing reputation of public education, the struggles of the poorest students in a system not designed to account for them, and the limitations of an evaluation instrument built around regression to the mediocre. I won’t throw a bowl of popcorn into the air the next time I see a standardized test, but I do fear the real snakes in the grass, the unintended consequences of misusing standardized tests. The charade, as Koretz calls it, will eventually come back to bite us. I don’t remember reading William Shakespeare’s Macbeth in high school, but I might if Dave Fogelstrom or Rusty Weaver had been in charge. I will remember reading their collaboration, McBeth and the Everlasting Gobstopper, for two reasons. 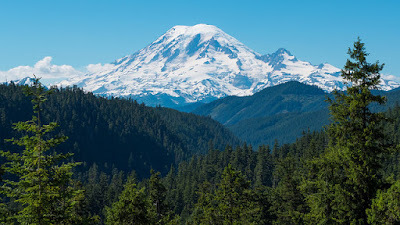 One, it landed on my summer reading list after a chance encounter with Weaver in the shadow of one of the world’s most dangerous volcanos; a symbolic reminder, perhaps, that reading (and writing for Fogelstrom and Weaver) is a great way to let off a little steam. Second, the book’s super-heated, irreverent tone belies a sincere, soulful introspection that resonated with my own experience as a teacher. 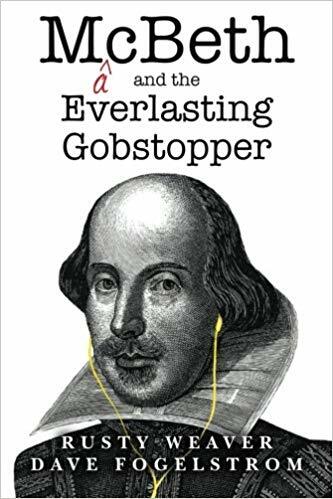 Gobstopper made me laugh but it also made me think and reflect and think some more; about the importance of teaching, about the worthy journey of learning, about the teachers I had in high school and what they might think of me today and about my own students and what I would think of them today. I read Gobstopper shortly before having what Fogelstrom and Weaver call a Blue Heart diamond moment, one of the rare occurrences for teachers when the “fog of the unknown” lifts briefly, allowing a glimpse at the “mature result of our work.” It was a wedding; a moment in which the time between then and now dissolved, an occasion in which a former student’s thoughtful sentiment about the role of this teacher hit home. It was a moment to cherish, fleeting yet indelible. It was also a reminder that teachers breathe a song into the air, having faith that knowledge, wisdom, and the important stuff will go forth and be found again in the heart of a friend. Gobstopper reminded me of my own song, and my Blue Diamond moment revealed one of its resident hearts, which warmed my own. 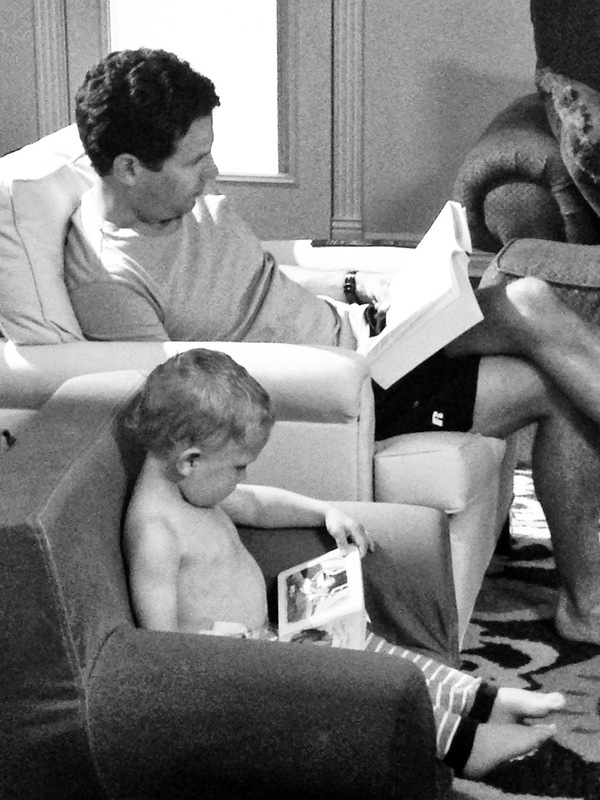 For that alone, it was reading time well spent. The challenging part of historical study is listening, having the presence to hear the echoes of life long ago and appreciate the contemporary implications of an age from which all personal experience has passed. Literature can fill the gaps between names, places, and dates on the timeline, distill the subjective knowledge of life long ago, the affective derived only from context, from seeing, hearing, and feeling what once was. 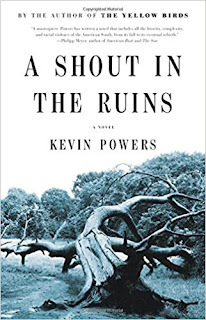 A Shout in the Ruins by Kevin Powers is an instrument for hearing the echoes, a model for historical reflection, a consideration of the experience and legacy of slavery, the physical and mental brutality of the time, and its reach far into the future. With language lyrical and laconic, Powers tells a story of love and loss… of one man’s life in the century after the Civil War and his attempt, near his term, to go back in time, to make meaning, to listen to the echoes of his own life. George Seldom’s search is for knowledge, not the kind found in history books, but the kind found in memory and experience. From the formative George, those things were hidden by the raw, remnant residue of slavery and war. There is intensity in the rhythms of Powers’ writing that allow the reader to feel the moments in time the story traverses… the violence, the sadness, the despair but also the hope that the long arc of history does indeed bend toward justice. The stories of people who lived before the age of sound recording often carry with them a mystic, spectral quality in the sense that a subject’s disposition must be inferred, even imagined. Ron Chernow, Pulitzer Prize winning biographer of American revolutionaries George Washington and Alexander Hamilton, published his latest historical excavation last year, this time reconstructing the life of Ulysses S. Grant. Grant, a comprehensive, single-volume biography of the Hero of Appomattox and the 18th President of the United States, unearths details covering the entirety of Grant’s life, from the tensions of his personal relationships to the tumult of his professional endeavors. Chernow’s work demystifies Grant, distinguishing his veracious, sentient nature from the complex, often adverse, and politically virulent environment in which he lived. What emerges from the narrative is an appreciable portrait of a man engaged in a life with purpose and perseverance. 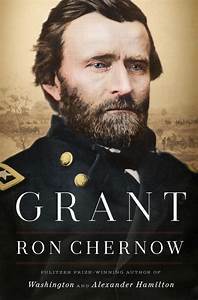 But it’s Chernow’s ability to extract and profile Grant’s emotional intelligence that leaves the reader with a sharper sense of Grant’s character and how he pursued his life, including the work of war, with the energy and intensity for which he is remembered. The surprisingly sensitive nature of Grant’s character emerges slowly as the narrative unfolds, fully exposed by the time the story ends. Far from innate, Grant’s disposition during the Civil War was derived from life experiences that were often painful, marked by failure and frustration but balanced by family and friendship. Extensively researched, yet not constrained by trivia, Chernow’s work reveals how empathy and intuition, in addition to experience and strategy, guided Grant’s thinking and behavior in times of success and failure. 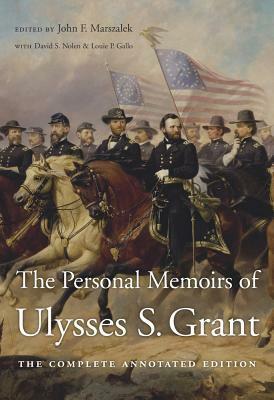 Extensive yet fluent and forthright, Grant is a tremendous volume of scholarship and an indispensable contribution to the story of the American character.